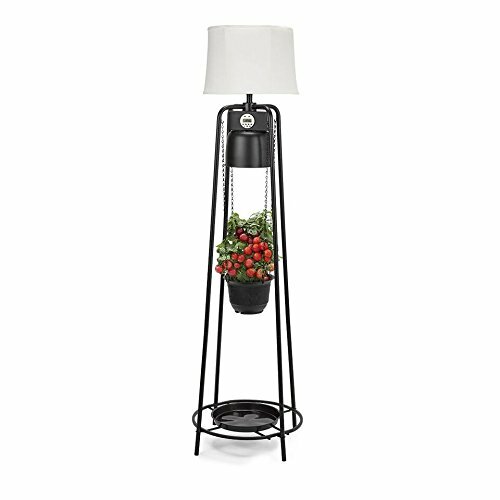 Glo Gro has launched a revolutionary decorative 45W LED Étagère floor lamp that will make growing plants, flowers and medicinal herbs indoors easy any time of year. With a proprietary patent pending LED engine, Glo Gro is revolutionizing the “grow industry” giving plant enthusiasts the option to successfully nurture and grow plants indoors better than anywhere else, no matter the season or location. Having a green thumb is all about light cycles which at times can make traditional growing challenging. Unpredictable weather coupled with poor conditions and climate change can turn a stress-relieving hobby into a nightmare. Glo Gro is the perfect solution for weather woes. It takes the guess work out of gardening and turns a home of any size into the perfect environment for plants to thrive and flourish. Whether a city-dweller in a small apartment or just someone who wants to create a lush indoor environment, Glo Gro is the perfect self-contained growth system. With a powerful integrated 45W LED grow light, Glo Gro essentially recreates the power of photosynthesis. The innovative Glo Gro emits a special mixture of vital red and blue wavelengths to optimize a plant’s growth in all stages of development. 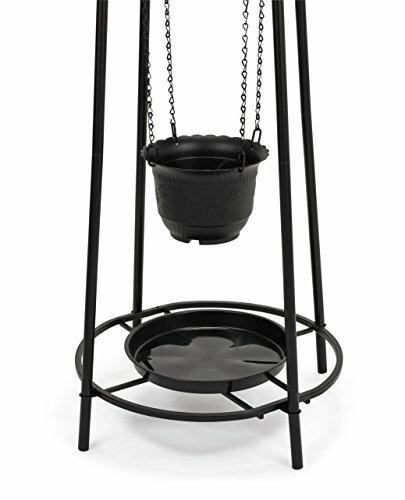 The hanging planter is fully adjustable which provides the plant room for growth, ensuring the proper light through all phases of its lifecycle. 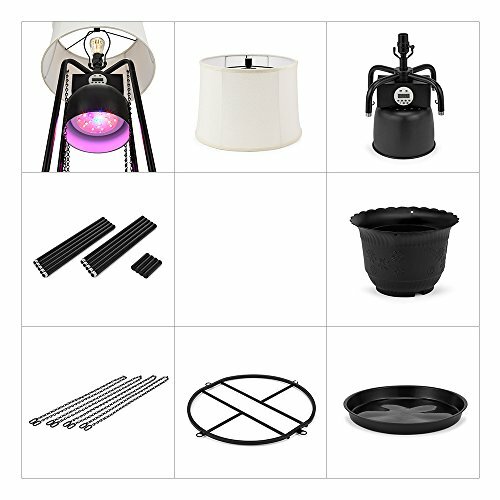 Whether it’s enhancing the look of your space with some ambient light while growing plants, flowers or medicinal herbs, enjoy all that benefits that Glo Gro has to offer. Total product dimensions: 21.5"x22x71.5" and White linen shade: 14”x16”x11”H. 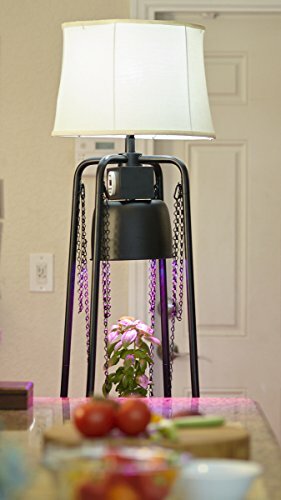 The Black Metal Étagère Floor Lamp includes: Hanging Planter, 4 Chains, Integrated timer, Integrated 45W LED grow light, drainage tray, rubber feet to protect floors and a 3-way rotary switch for ambient light. START growing AND LIGHT IT UP! GROW PLANTS INDOOR ALL YEAR ROUND! 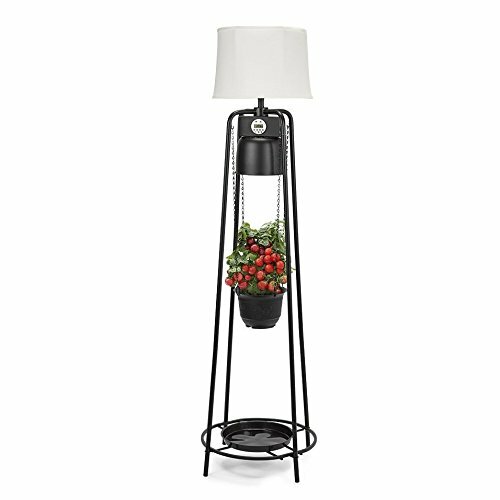 Glo Gro floor lamp is designed with the BEST agricultural growing LED technology so you can easily grow plants indoor any season. 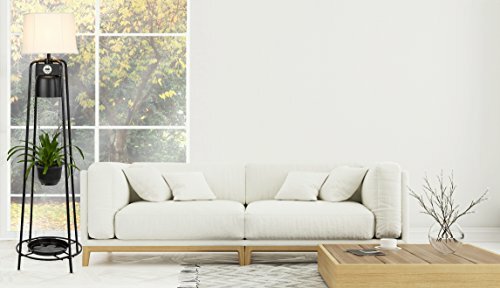 DESIGNED FOR ALL LIFESTYLES AND FITS ALL SPACES: great for the hobbyist, horticulturist, health conscious AND is designed to fit any size home, apartment, studio, condo, or dorm room. INTEGRATED TIMER & ADJUSTABLE PLANTER: Fully adjustable planter allows for growth throughout the entire plant cycle, and the integrated timer lets you set and forget! 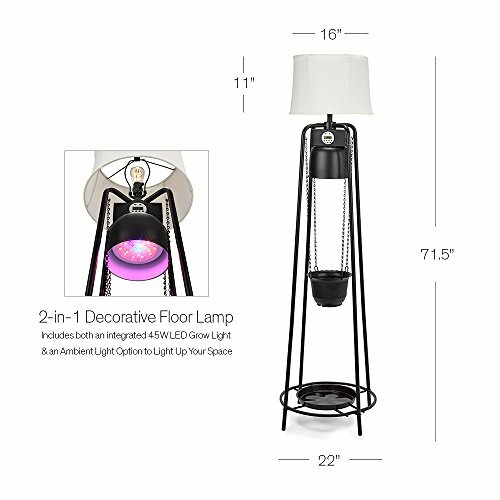 If you have any questions about this product by Catalina Lighting, contact us by completing and submitting the form below. If you are looking for a specif part number, please include it with your message.